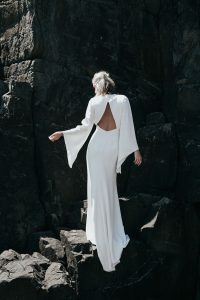 I am very excited to announce that this month The Bride Lab will be hosting some amazing wedding dresses by two exclusive Australian designers available for the first time in Adelaide: Mariana Hardwick and Prea James! As per usual appointments for both of these exciting events are necessary and can be booked using the ‘book an appointment’ link at the bottom of the page. The Mariana Hardwick brand has been creating bridal couture designs for over 30 years. Mariana Hardwick designs have a distinctly contemporary feel. Drawing inspiration from contemporary culture, vintage references, texture and drape, a Mariana Hardwick gown is timeless. The latest collection can be seen here and is available to try on at The Bride Lab until 16th September. Having studied at the renowned Fashion Design Studio – Ultimo TAFE Sydney Institute of Fashion graduating in 2009; Prea then went on to work in the Australian fashion industry before narrowing in to bridal. 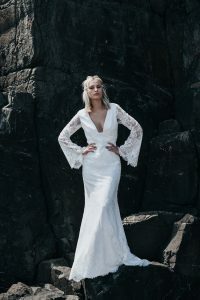 The Prea James aesthetic can be described as modern femininity, fashionable, youthful, with each gown having a unique romantic feel. Loving the way luxury fabrics feel on the skin, all of the Vow by Prea James gowns have 100% silk lining, making every bride feel as elegant as she looks. Prea has a keen eye for unfaltering fit and hand finishes that add that special touch to each gown. Her collection can be viewed here or at The Bride Lab from 21st – 30th September.